Last week I wrote about praying for my son to be on a basketball team with his friend. (HERE) When it didn’t happen, I trusted it was God’s best and told him so. A few days later, he asked if I could talk to the coach and maybe get switched to the same team after the fact. My response was an immediate “no,” followed by words of faith. 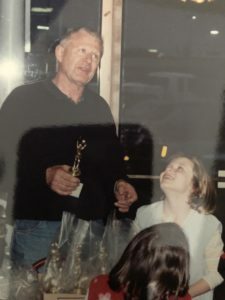 My commitment to accept God’s answers after praying for something stems from a specific and similar experience years ago involving one of my daughters. Allow me to tell the story. My youngest daughter is an amazing athlete. 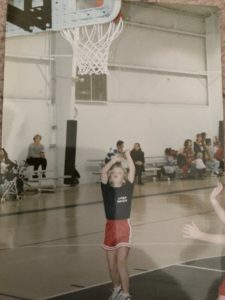 Even though she played soccer from kindergarten through college, the girl can play any sport, and has frequently played basketball on winter leagues between soccer seasons. When she landed on her first basketball recreational team as a little girl, she was the youngest by far. Most people thought she wouldn’t be a major contributor. She surprised us all, even me. By the end of the season, she was recognized as a tiny little superstar and dubbed “Peanut” by the coach. Life goes on and one year this daughter of mine asked to play winter ball, but the sign-ups had already occurred and roster published. I decided to make it happen for her. I called a particular coach I knew and asked him to make an exception by adding her late to the roster. I assured him that he would not be sorry. She had the worst season of her life. Clear as day, I remember sitting in the stands. She couldn’t make a basket to save her soul, and she couldn’t receive the ball without traveling. It was terrible. I sat on those aluminum bleachers all alone that season. The other moms were not flocking to sit around me, so I sat looking straight head, averting eye contact with anyone else. I could hear God talking to my heart as clearly as I heard His voice in my ears. Are you going to mess with my sovereign plans ever again, Laurie? You see, if my daughter was supposed to be on that team according to God’s sovereign plan for her life, she would have thought earlier to ask about playing ball that winter. I can hear you readers thinking about some legitimate rebuttals. God sometimes asks us to push through resistance in faith because we believe He has called us to something. God sometimes works miracles to makes things right after we make mistakes. Now I am going to say something gutsy. Put simply, what is witchcraft? Doing and saying a certain set of things in order to control events. I did not participate in witchcraft, but can you see that what I did was not far from it? I did and said certain things to rearrange the world to my liking. That is called control. In this circumstance, it was my will I was exercising, not God’s will I was allowing. I hear those legitimate rebuttals again. We make our children do things as we teach them to honor God and live responsibly. We say certain things to get people to cooperate with us. But these two examples are about being wise and creating the possibility of producing results that honor God; These examples aren’t about aiming to guarantee results that suit me. I played God that year (as if I could), and He graciously allowed my plans to fail. The only thing that guarantees good results is walking closely with our God and letting Him spin the world. Picture Explanation: The pictures in this post are from when my daughter was being called Peanut. She is now a full-fledged adult and I received her permission to tell this story, including the witchcraft part. She said to tell my readers that she still blames me for the only bad basketball season of her life. (wink) She was laughing as she said it, and I appreciate her constant willingness to let me tell the truth and use her life to illustrate some of my messages. She’s cool.